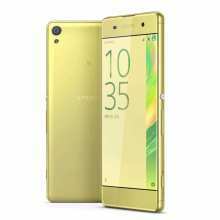 Sony Xperia XA 4G (LIME GOLD) LTE DUAL SET F3116 Export Set price online in Singapore was last updated on April, 2019. Before buying, compare Sony Xperia XA 4G (LIME GOLD) LTE DUAL SET F3116 Export Set features, specifications, images and reviews from different websites in Singapore. In addition, find out Sony Xperia XA 4G (LIME GOLD) LTE DUAL SET F3116 Export Set’s size, weight, battery, display, camera quality, connectivity, warranty and post-sales support information.